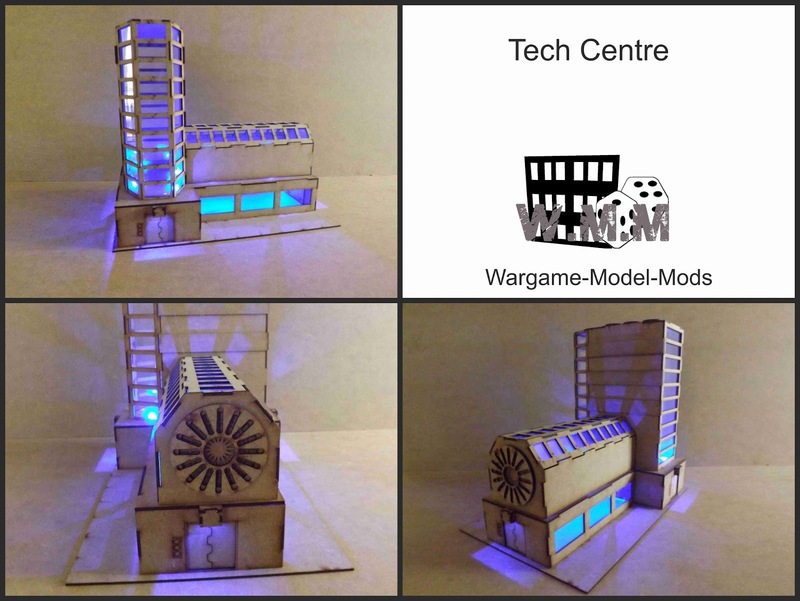 The tech centre is a simple but large building that covers a decent area and blocks line of sight for large models. The model features several large plastic window sections. Measures 300 x 200 x 250mm.